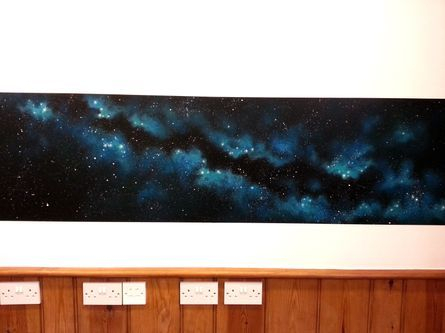 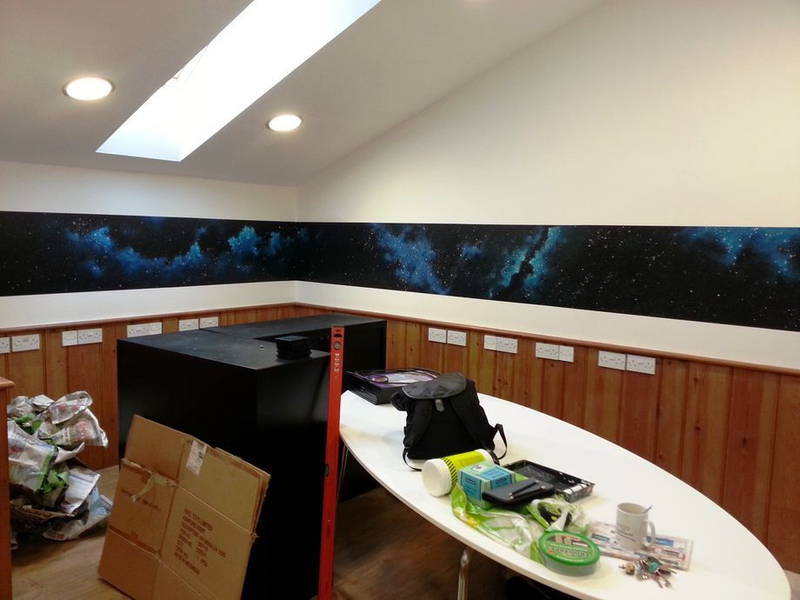 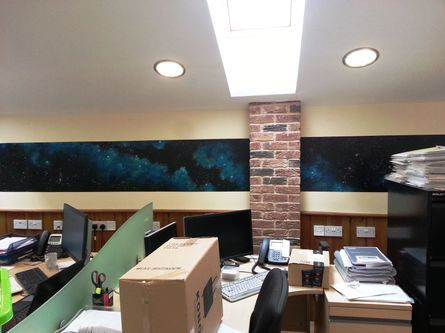 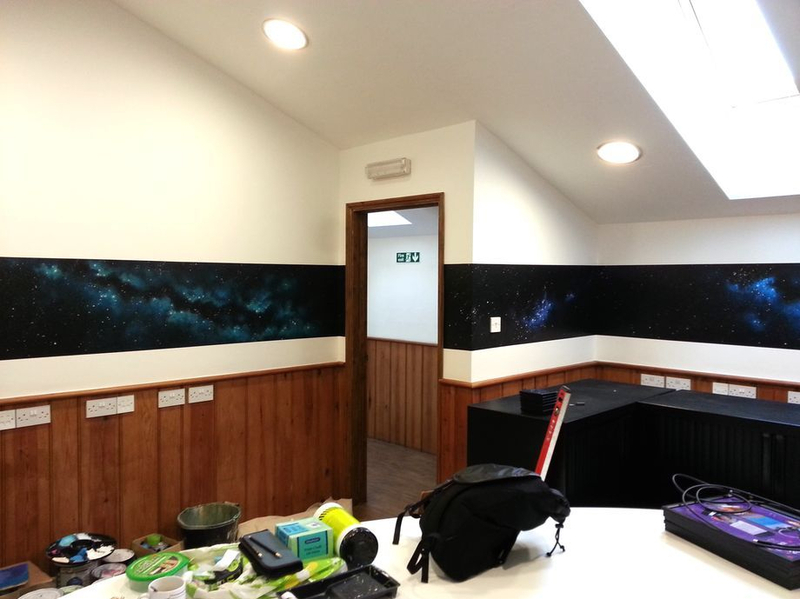 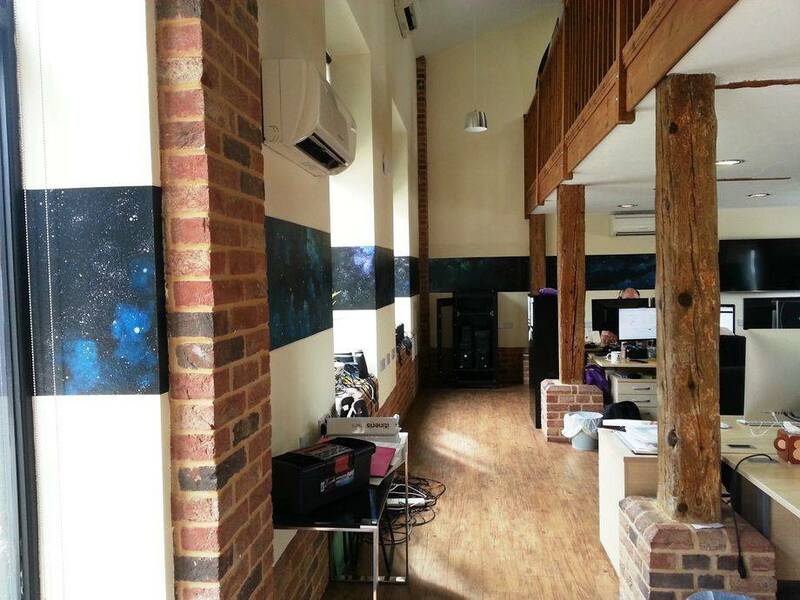 This Space themed Boarder was painted at the Itineris offices in Ipswich. 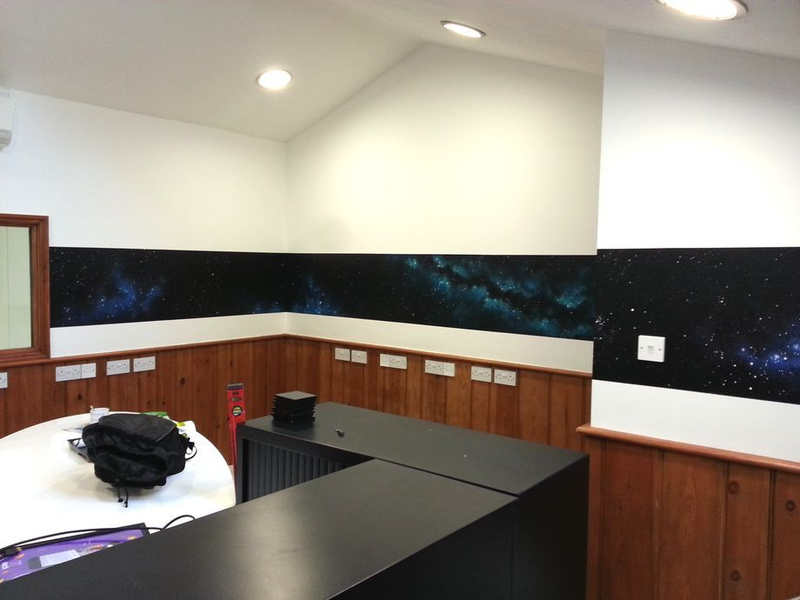 We had previously painted a Space themed entrance hall for them. 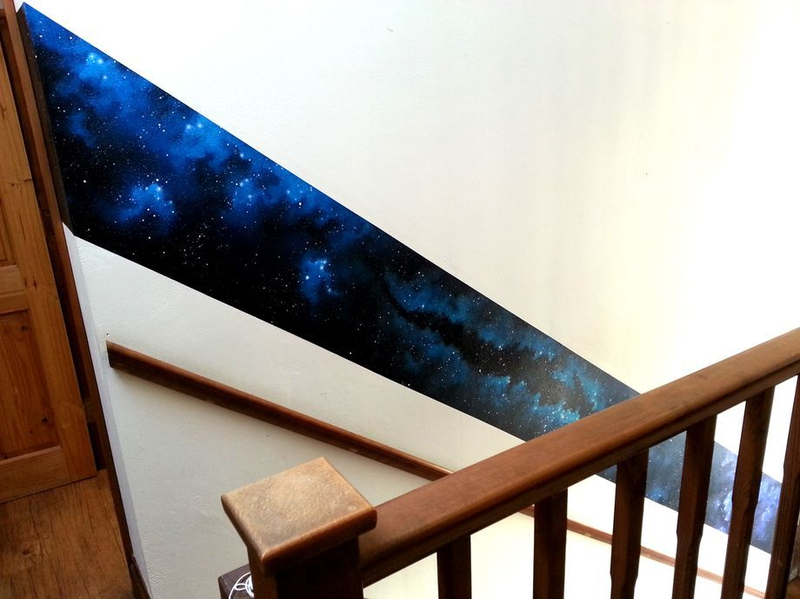 This boarder leads from the entrance hall, up the stairs and around their board room. 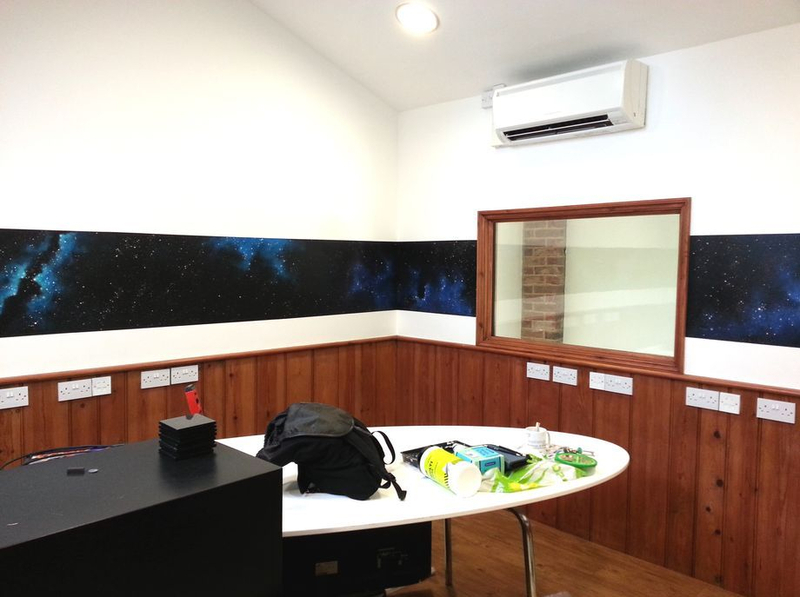 This mural is very on brand and leads a clear path for their clients to their meeting room. 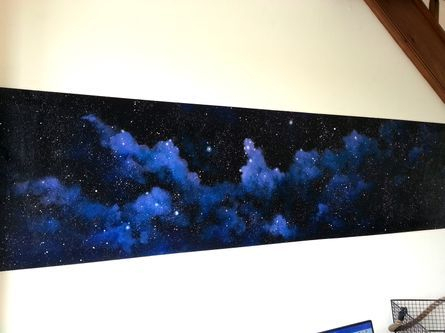 This mural took one artist one week to complete. 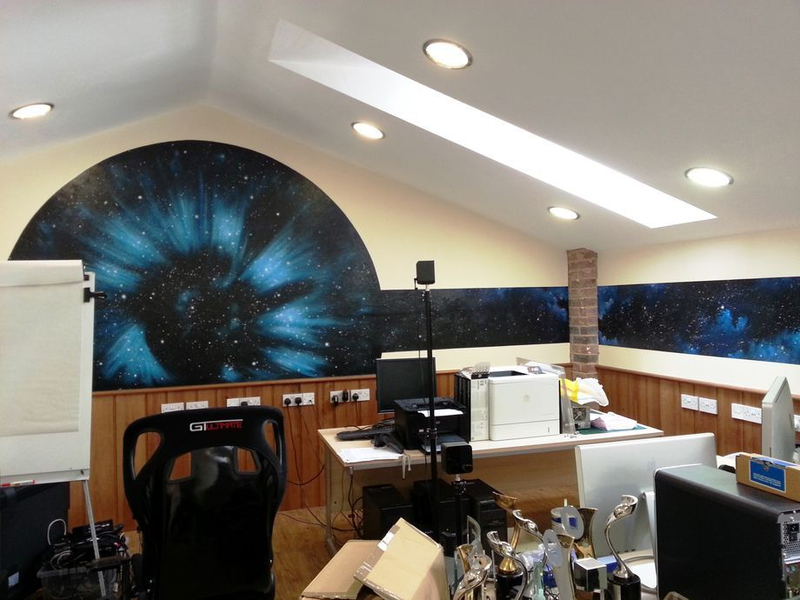 We have now painted the entire offices with a space themed boarder, to tie everything in to the work we had previously completed and into the new company branding. 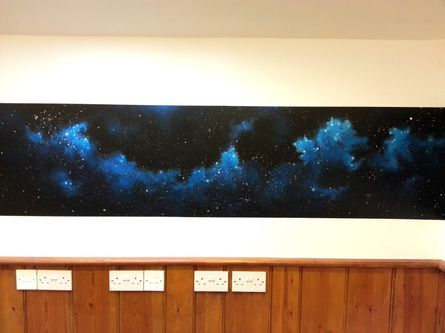 There are a few photographs of this below, with the final stretch of the boarder culminating upstairs on the mezzanine floor with a large circular nebula.